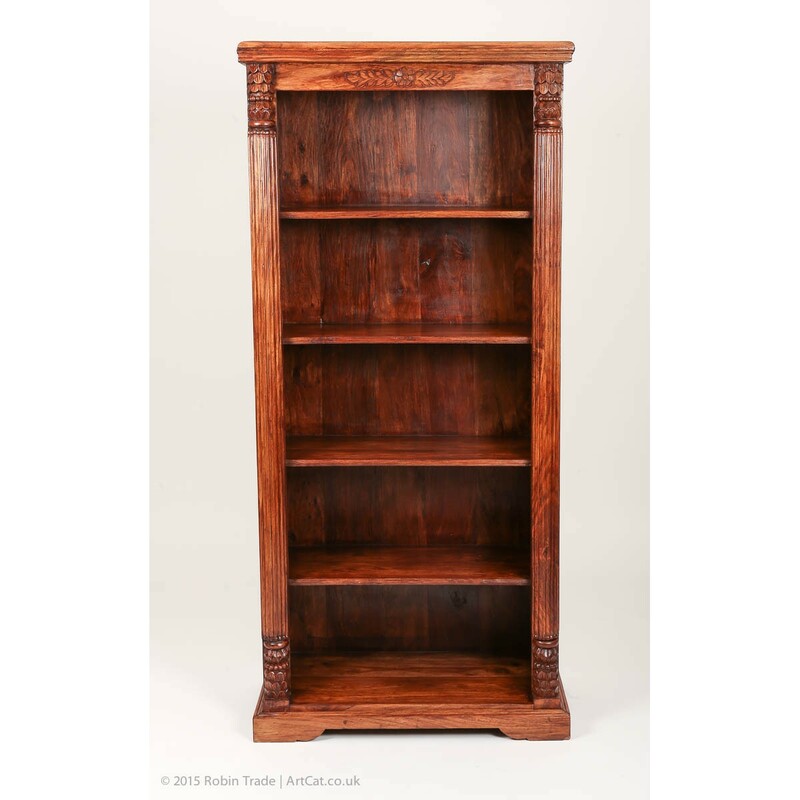 Beautiful and massive Antique Hand Carved Teak Bookcase with 4 fixed shelves. 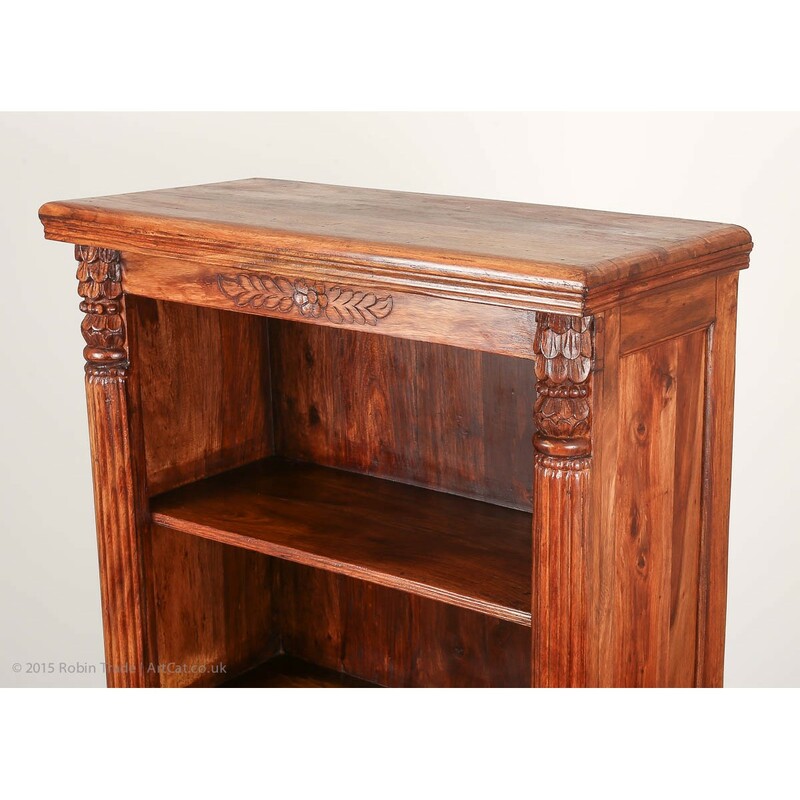 Hand carved solid teak quality open bookcase from around 1900. 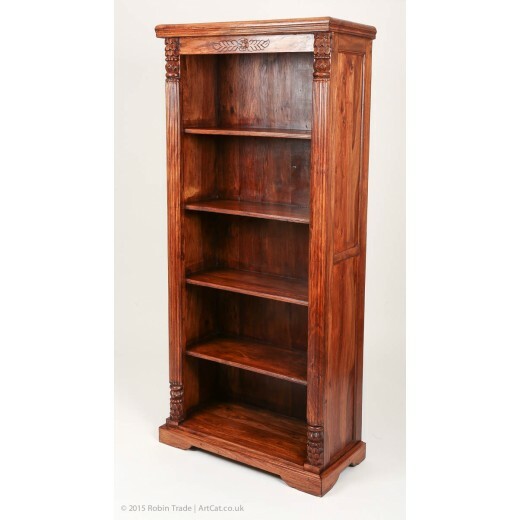 Large open front bookcase with four fixed shelves presented in excellent antique condition. 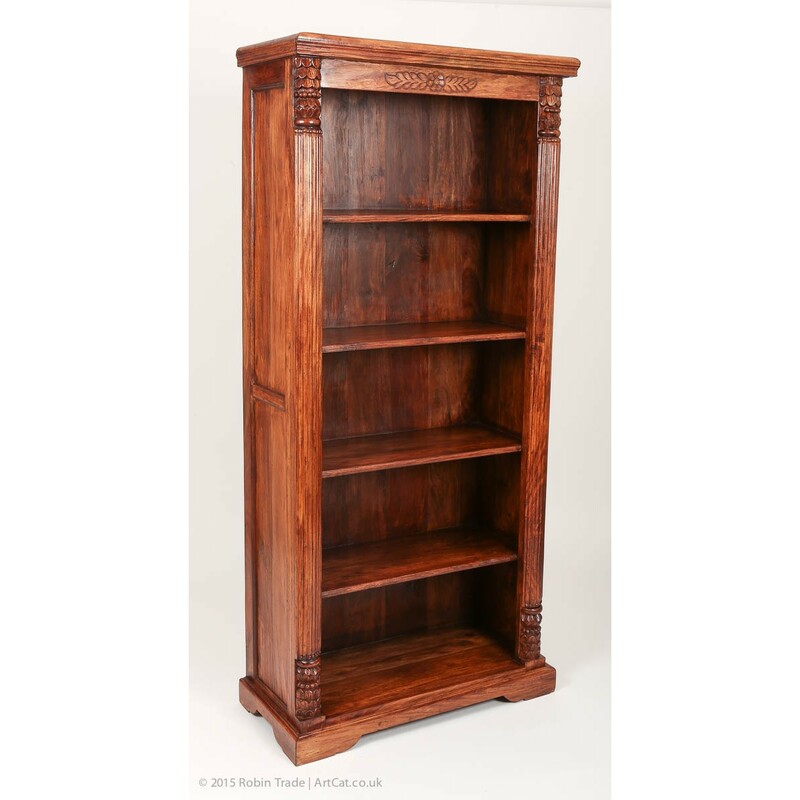 Bookcase has carved outer frame and will make a wonderful addition to any home. 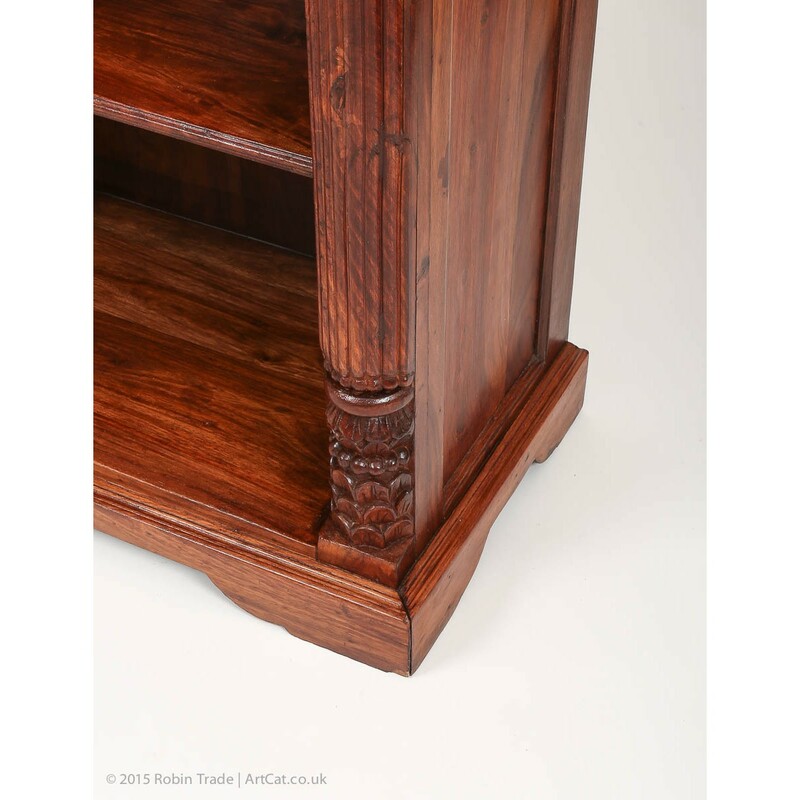 Shelves depth: 29cm / 15½"
As with any previously owned piece of furniture there my be the odd bump or mark that comes with age. Please send us a message with any questions, we are always happy to help wherever we can.